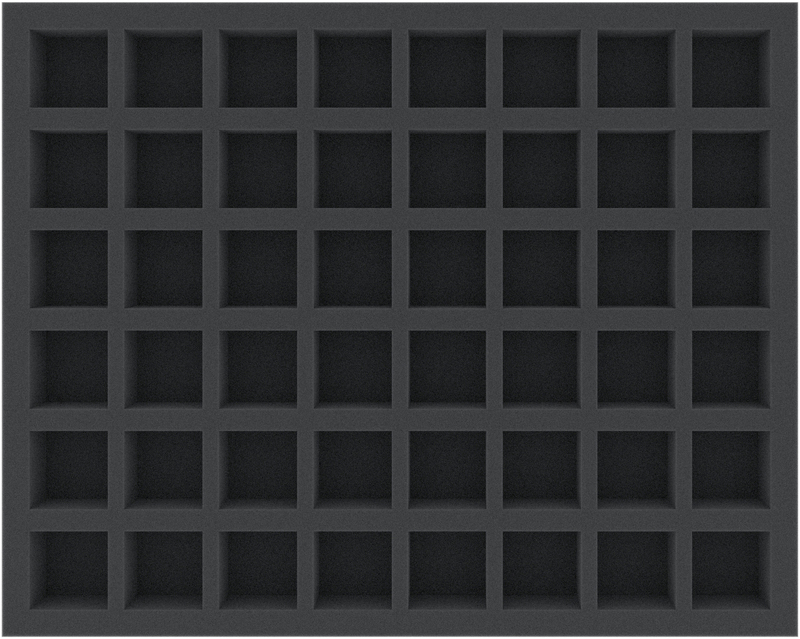 This Full-Size foam tray is divided into 48 square compartments. It is particularly suited for the safe and clear storage of miniatures and game material. Each of the 48 compartments is 34 mm long x 34 mm wide x 25 mm deep. 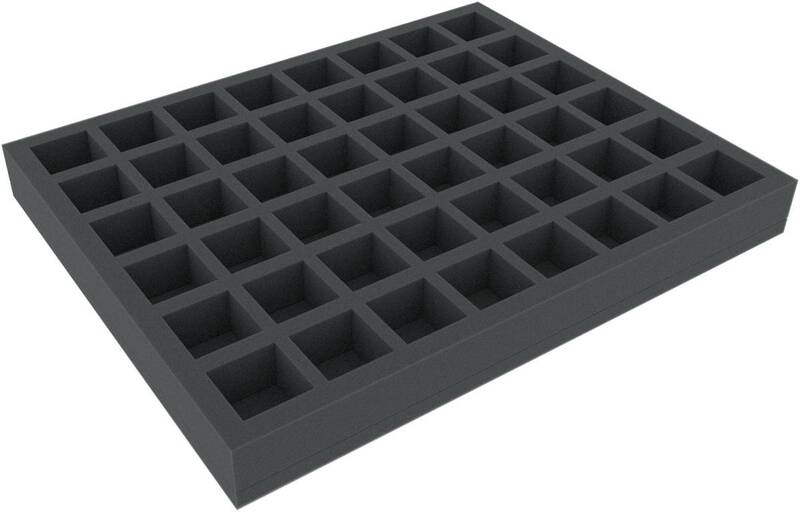 The foam tray has the dimensions: 345 mm x 275 mm x 35 mm total height (25 mm usable height + 10 mm foam base).